Water is magical. It is deeply embedded in our consciousness. It is so essential that it is imbued with spiritual qualities: anointment, baptism, purification. 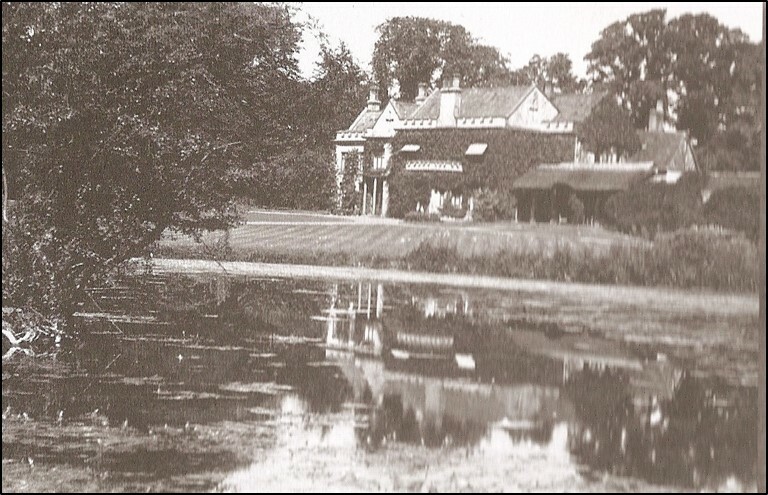 Water has played an important part in our imaginative framework, with stories of water spirits or nymphs, mermaids and serpents. 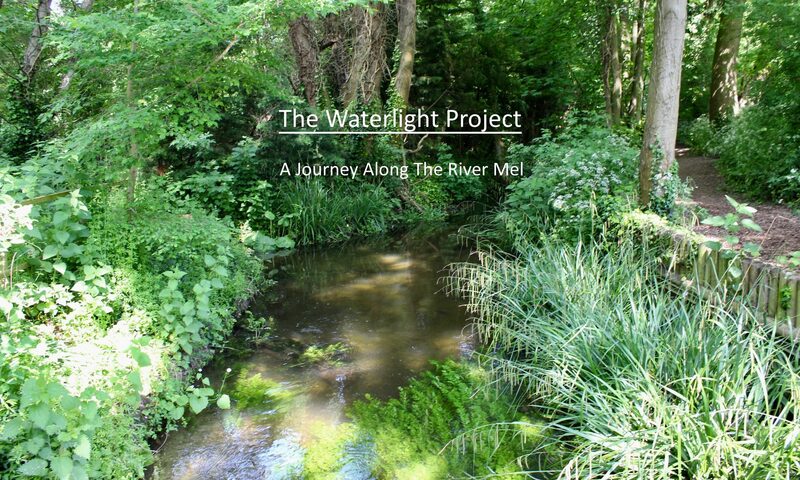 It is an important component of fiction and especially poems; so it is fitting that this website is inspired by one person’s creative response to our river, the Mel. The August 2018 BBC programme Sacred Wonders of Britain started with images of water and devoted the whole of the second episode to water as a sacred entity. We are not far from the fens, in fact in ancient times the fens spread to the edges of our area. There is evidence at Flag Fen of the significance of water to our ancestors, with a huge causeway built across a watery landscape and ritual offerings deposited in the water. Not far from our wonderful chalk stream, the Mel, votive offerings were given to British and Roman goddesses of water at Ashwell. Who knows if hidden somewhere in the silt of our river are treasured items with magical qualities cast into the water as an offering or a prayer? Maybe the source of the Mel at Melbourn Bury was also a place of worship in ancient British times. It was certainly an important site close to ancient trackways: the Icknield Way, Ermine Street, Ashwell Street, Avenell Way and a recently discovered one running at right angles to New Road in Melbourn. The significant (and unopened) Bronze Age bowl barrow Grinnel Hill — a burial site from around 2,000 BCE — is only a few hundred metres away from the Bury. And there are other significant tumuli and barrows in the vicinity and also meeting places: Goffers Knoll and Mettel Hill. 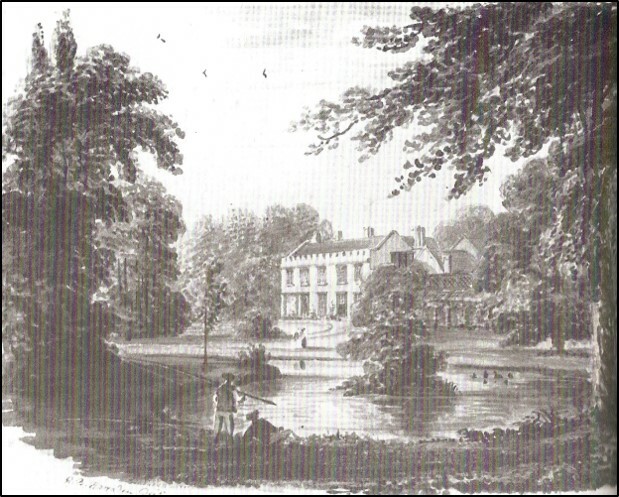 Some scholars think the name Melbourn comes from Meldeburn, the “stream of a man named Melde“ which may have been the name of a local god. A more popular theory is that it derives from a version of mill stream. 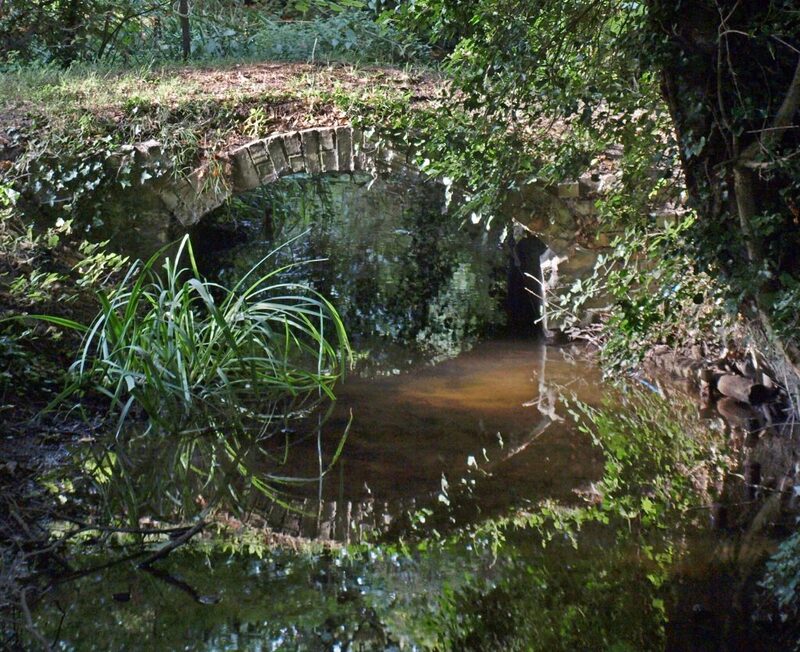 There are some very attractive small bridges on the Mel. The one at Sheene Mill is listed and is a particularly good example of this style of ironwork. Before the bridges, people would have crossed at fords (as was the situation at Sheene Mill) with much splashing and excitement. 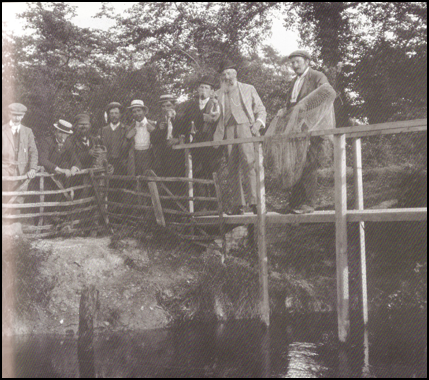 It is probable that an ancient trackway, the Avenell Way from near Baldock, crossed the Mel at a ford near the back of the British Queen. Early hunter-gatherers and later settlers would have explored the river to find the safest crossing points. 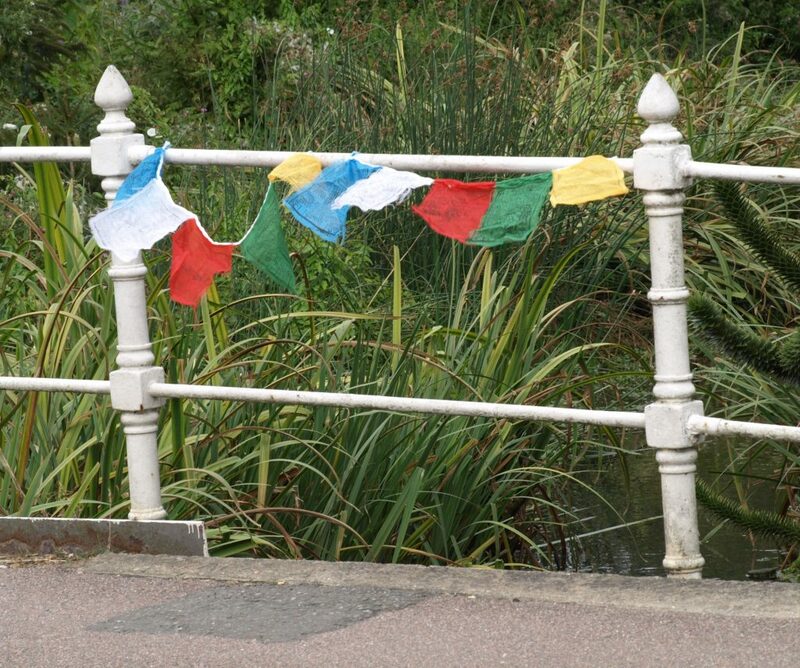 Confluences and bridges are revered in other cultures, with prayer flags being positioned on them in Buddhist countries in the Himalayas. The Mel marks the boundary of the parish for part of its length. 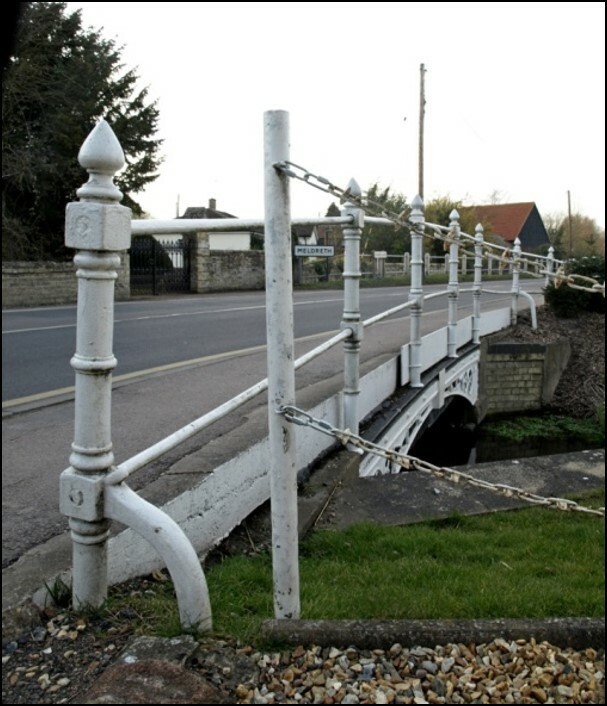 The ‘beating of the bounds’ of Melbourn recorded in 1798 (a religious ceremony marking the boundary of the parish) included the blessing and the placing of crosses at significant points along the river. There was even a full immersion baptism in the Mel in the late 20th century.